A British man locked up for more than a year in Ethiopia fears he could die in prison. 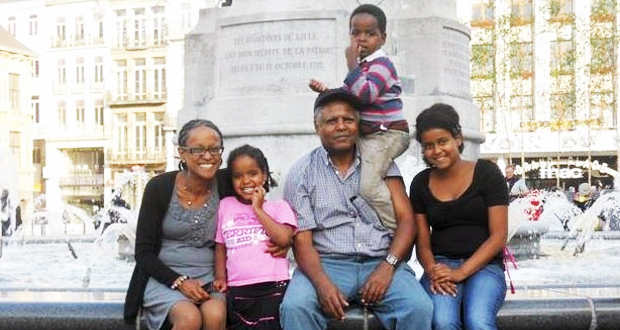 Andargachew “Andy” Tsege, a father-of-three, has been detained in the country since he was removed from an airport in Yemen in June 2014. Legal charity Reprieve said the 60-year-old asked the British Government to ensure that he is buried in England and told his children to “be brave” during a recent visit by the UK ambassador. Mr Tsege, a prominent critic of Ethiopia’s ruling party, was sentenced to death in his absence in 2009 for allegedly plotting a coup – charges he and others deny. The trial has been described as “lacking in basic elements of due process”. He fled Ethiopia in the 1970s, seeking asylum in the UK in 1979. Maya Foa, head of the death penalty team at Reprieve, said: “It is tragic that he now feels the only way he will return home to Britain is in a coffin. Last week, Foreign Secretary Philip Hammond discussed the case with the Ethiopian Foreign minister. Mr Hammond said: “I raised the case of Andargachew Tsege with the Ethiopian Foreign Minister during our meeting on October 21, and made it clear that the way he has been treated is unacceptable. “I welcome the improvement in access to him, following the British Government’s intervention, but it must be more regular and it must include access to a lawyer. “I am still not satisfied that Mr Tsege has been given an ability to challenge his detention through a legal process, and this is something we are continuing to pursue.